Wireless keys have made cars much easier to use, but that system can also easily be abused by thieves, which can use range extenders to easily open up a car (and even start it) even if the legitimate key is hundreds of meters away. The technique is amazingly simple, and similar to what many people use at home to improve their wireless networks using WiFi repeater or range extenders. 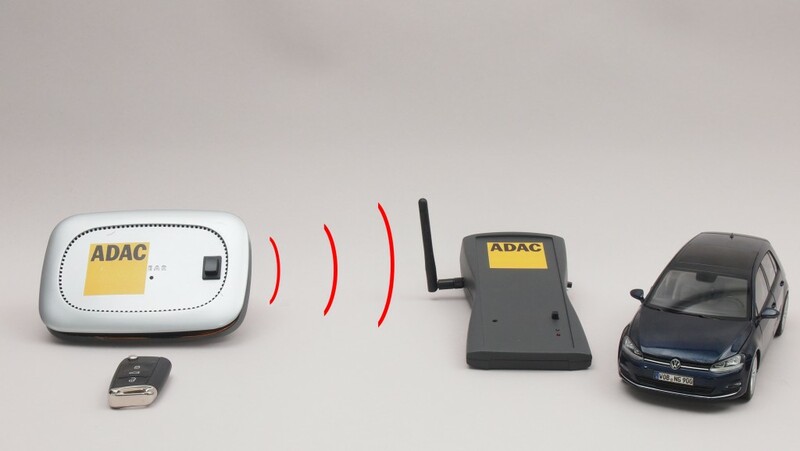 Wireless car keys are made to work just a few meters away from the car; what this ADAC system allows, is to create a gateway that can extend that range hundreds of meters more. Car manufactures better start protecting against this kind of technique... though that won't do much to help the thousands (millions?) of vulnerable cars out there in the streets.